Helping others with their seats is always a polite start to a meal. Sit up straight at the table with your chest a few inches away from the table edge. Lean forward slightly when you bring food up to your mouth; then if anything drops, it will land on the plate, not on your shirt. Take part in table conversation. You don't have to entertain or give reports, but listen and try to contribute to the talk; then everyone will enjoy having you there. Avoid unpleasant topics about health, accidents, the cost of the food you're eating, or personal feuds with other members of the family. 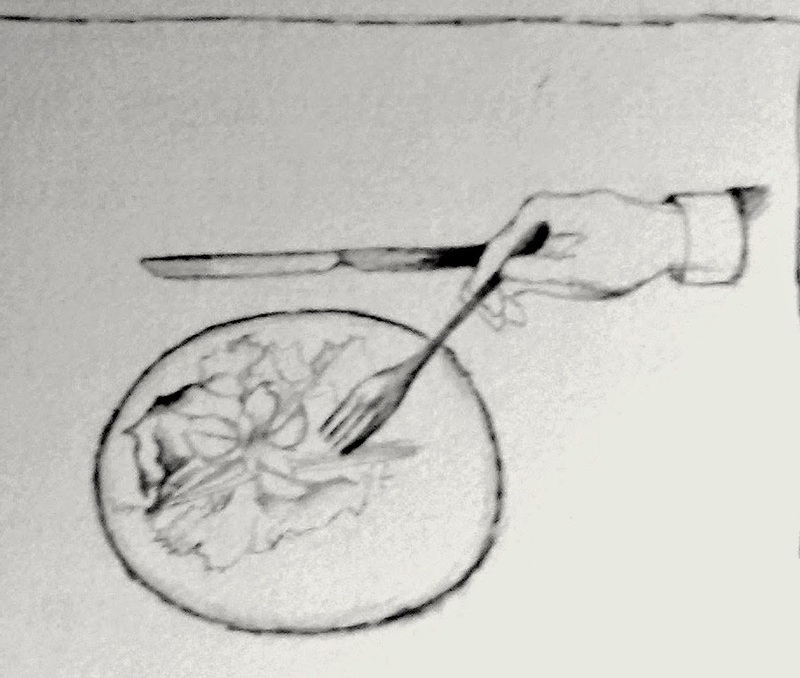 When you pass your plate for a second helping, put your knife and fork side-by-side; and far enough from the edge of the plate so they won't fall off. Before talking or drinking from the glass, chew and swallow all the food in your mouth, then wipe your lips with your napkin. Chew your food without noise and without smacking your lips, even if it's your favorite dish. The secret of this talent is to put on your fork only the amount of food your mouth can accommodate. Its very uncomfortable to chew an oversized piece of meat until it's whittled down to swallowing size. Keep your elbows off the table while eating. Between courses, it's perfectly okay to rest your wrists on the table, but not to lounge. Don't circle a plate with your arms as if the Indians were attacking! Don't use your own spoon, fork, or knife to serve yourself from main dishes such as the sugar bowl, the butter dish, the chop platter, or the vegetable dish. Don't lean on the chairs next to you, and don't tilt back on your own -- it could be a fragile antique on its last legs. Don't reach across the table or in front of another person. Just ask to have the food passed by mentioning the name of the person you are asking -- otherwise, everyone at the table has to stop and look for what you want. When you are being served, you don't have to say "Thank you" to a waiter or a maid. You never take the whole dish or platter that is being offered, but simply serve yourself a portion using the serving spoon and fork in the dish. Then you put them back on the platter or dish with the fork on the bottom of the spoon, face down, over the fork. 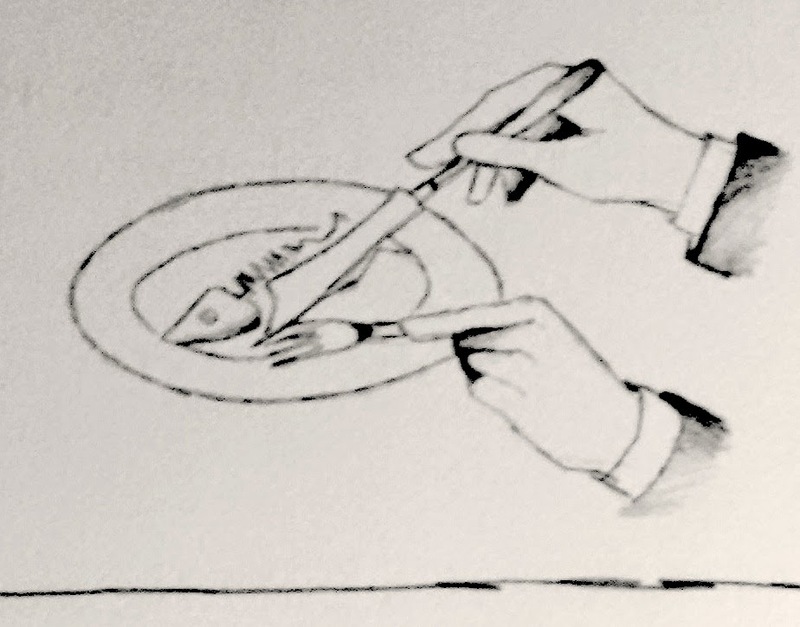 You can expect to be served from your left side, and to have plates removed from your right side. You don't have to greet the maid serving you unless you know her well, then a cheery "Hello Mary" is more than welcome. At the end of dinner, wait to be excused before you leave the table. If you must leave the table before the end of the meal for personal reasons, don't give excuses, simply say, "Please excuse me" or "May I please be excused?" Then leave your napkin, slightly crumbled, beside your plate on the table, not on the seat of your chair. At parties or larger dinners, wait for the hostess to signal that the meal is over by putting down her napkin and rising. No one is supposed to do either one before she does. 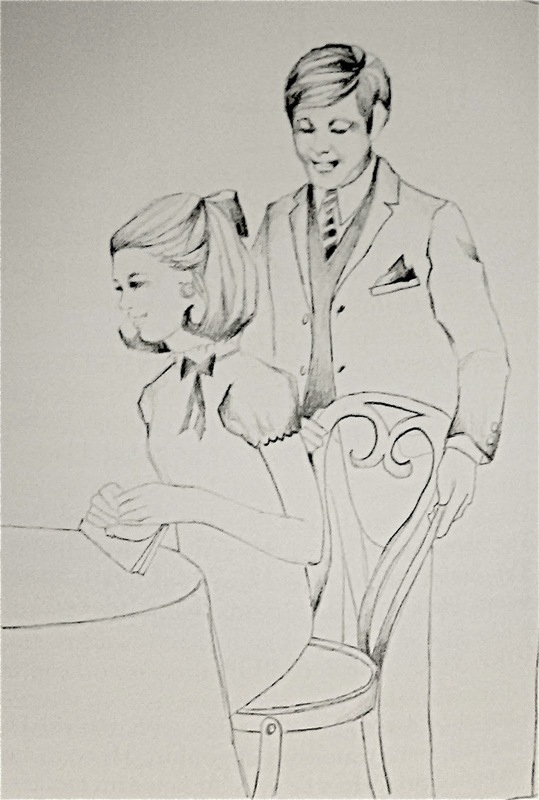 If a woman or girl leaves the table briefly during dinner, only the man or boy on her left rises to help her with her chair; and it's usually only a half-rise as a courteous gesture. Leave your plate where it is when you have finished eating. Don't push it in toward the center of the table. In fact, don't rearrange any dishes on the table with the exception of the fingerbowl served on the dessert plate. In leaving the table, help the same girl or woman you seated at the beginning of the meal. Stand behind her chair, then pull it back gently and she slides out from the right side.